I made a complaint to Ofcom about a political advertisement on Bengali TV channel NTV. It has been found in breach for airing the advertisement on 19th January 2013, which is prohibited under Ofcom rules. The advertisement lasted 30 seconds. The voiceover was in Bengali. The images consisted only of a single slate carrying Bengali text and three small pictures – one of the Bangladesh Nationalist Party logo and two photographs of figures associated with the party. The broadcaster told Ofcom that no money or other consideration had been offered in return for its broadcast. During an investigation, probably the above, Ofcom also found NTV in breach of programme sponsorship credits, where broadcasters are prohibited to contain advertising messages or encourage the purchase of products or services of the sponsor or a third party. Ofcom found the broadcaster in breach of of Rules 5.5, 9.1 and 9.2. There has been countless breaches of broadcasting rules by Bengali TV channels in the UK. Some of them faced large fines. From abuse of charity fundraiser and selling holy tours to political advertisements, these channels flout the rules like it doesn't apply to them. Recently 5 Bengali TV channels were found in breach of “political advertising”. Channel S has previously been found in serious breach of the prohibition on political advertising. A significant fine was imposed on that occasion. Channel S was owned by Channel S Global Limited. This company surrendered its licence and ceased broadcasting. It is now run by CHS TV LTD with Mahee Ferdhaus named as a director. What does that tell you? The men behind this channel did this to avoid the potentially large fines by Ofcom. Not once was it mentioned on Channel S that it's owners are in trouble. The director of the various Limited companies that owned and still own Channel S is the founder MAHEE MOHAMMED FERDHAUS and his puppet partner HARISH CHANDRA JUGATRAY JOSHI. Mahee is a disgraced self proclaimed Bengali leader, who was convicted of insurance fraud and jailed. This is how he made the money and started Channel S. Click on the above names to see a string of limited companies they use to bypass the rules and conduct their crooked businesses. Few weeks ago Channel i was found in trouble over “political” advertisements after I filed complaints with broadcasting regulator, Ofcom. Bangladesh is going through turbulent time as it tries to bring war criminals from 1971 to justice. We do not need the village politics run by new Bangladeshi immigrants in our midst. These idiots have been placing adverts on Bengali TV channels in contravention of broadcasting rules. These rules prevent political instability. Some of the groups include the Bangladesh Nationalist Party, the London Mohanagar Chhatra League (the London branch of the student wing of the Awami League), the Jubo League (the youth wing of the Awami League), Faruk Ahmed (of the Awami League), M A Malek (of the Bangladesh Nationalist Party), the Bangladesh Awami League and the Awami League, UK. Thank God that there are rules and laws in the UK that protects us. InshaAllah, the small number of good people who uphold the law can make a difference and stop these thugs spreading their vile politics here in the UK. Few years ago, Mahee Ferdhaus was almost beaten to death by thugs like him. It looks like he hasn't learned his lesson. Let it be know that those who disgrace the Bengali community will be disgraced by Allah in this world and in the hereafter. Anyone who associates with such people and those who run these amateur TV channels are as bad and a disgrace to the Bengali community too. Every breach should be referred to Ofcom. Bengali entertainment channel NTV has breached sponsorship rules and exceeding the advertisement times. The channel broadcasts a delayed feed of content originally broadcast on NTV in Bangladesh. ‘Shastho Protidin’ was a studio-based programme in which the presenter Dr Tahmina Akter Muniya and a guest discussed various health issues. The opening and closing programme credits contained a logo for Pran Milk, a brand of milk made by a Bangladeshi company. There was no on-screen text or voiceover to indicate to viewers that the programme was sponsored by the company. On four occasions during the programme, when the presenter’s name appeared in an on-screen caption, Pran Milk’s logo appeared next to her name for a few seconds. On one other occasion the same logo appeared next to the on-screen caption of the guest’s name. It was just under a year when I made complaints to Ofcom about political advertisement on Channel i. After a long investigation Ofcom has found this channel in breech of several rules and put them on notice that further breech will result in fines. Lets hope Channel i has learned a lesson. Five television channels, Channel S, ATN Bangla, Bangla TV, Channel i, and NTV have been found in breach of “political advertising” rules. Media regulator, Ofcom, received a complaint about an advertisement that featured Lutfur Rahman, the Mayor of the London borough of Tower Hamlets, and stated his aims for improving housing in the borough. The advertisement was 30 seconds long. It displayed a series of still photographs of local authority housing, demolition and construction work, and the interior of a council flat. The Mayor of Tower Hamlets, Lutfur Rahman, was shown twice, once in the cab of a mechanical digger and later with a couple inspecting a flat. The advertisement ran on various dates on the different channels within the period 1st January 2012 to 14th January 2012. The advertisement was booked to be transmitted on average 15 times each day it was broadcast on each of the five channels. Channel S has previously been found in serious breach of the prohibition on political advertising. A significant fine was imposed on that occasion. Channel S Global Limited surrendered its licence and ceased broadcasting. 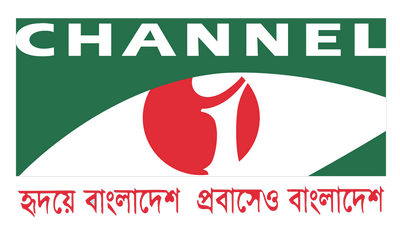 The other four licensees in this case – Runners TV Limited (NTV), Prime Bangla Limited (Channel i), Bangla TV (UK) Limited (Bangla TV) and ATN Bangla UK Limited (ATN Bangla) – are put on notice that in the event of further serious breaches of sections 321(2) and 321(3), and the corresponding BCAP rules, Ofcom will consider the imposition of significant sanctions. 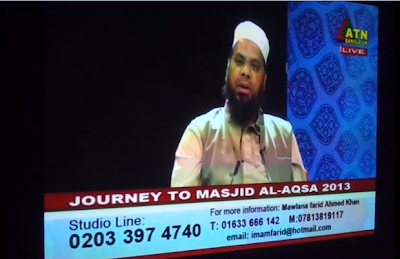 On 27 Jan 2013, Channel i - Sky Channel 844 - 5pm to 1am aired a programme called "Journey of a Life Time". This was nothing more that a mega "infomercial" for a commercial tour organisation called Bismillah Hajj The communication below with the programme makers and the video explains it all. Needless to say a complaint has been submitted to Ofcom. You replied to my text, where I put it to you that you are advertising during programming on TV. You replied saying there is no sale going on rather a charitable organisation doing an awareness of the tour package and that all donation will go to Boruna Madrasa. You also gave this email for me to write back. A group of Muslims harasses a young white couple for wearing skirt and drinking alcohol while walking in part of East London they declare as 'Muslim Area'. These thugs then had the audacity to upload their shameful act on YouTube. The police are investigating this incident using the video and have made two arrests. Every individual will be a minority at some stage and this sort of awful situation is a nasty experience for anyone to end up in. These thugs think they have the upper hand in the ghetto they live in. They are like and as bad as the right-wing racists. 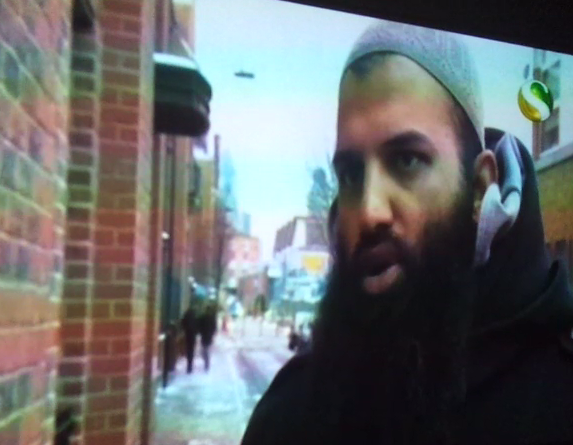 Video below from news report on a Bengali TV channel broadcast on 20 Jan 2013. The Sky TV guide describes this programme as “Live Islamic discussion programme from ATN studio”. But this programme is far from an Islamic discussion, it is actually selling a package tour to Jordan, Palestine, Israel and Saudi Arabia for £1500 per person. The guest, Mawlana Farid Ahmed Khan is the person selling and arranging the tour and one of the tour guide. His mobile, landline and e-mail is given and viewers encouraged to call to discuss special family discount/consideration! Mr Khan is stated to have taken over 80 people on the same tour last year! The tour is promoted heavily with viewers being encouraged to participate to join it. As the channel is no charity, I bet they take commission on every sales generated via this 'infomercial' but is most likely to deny it! Why else would they air such a long advertisement for a tour? The broadcasting rules makes it clear to keep advertisement separate from programming. This programme clearly merges both into one and is likely to be found in breach by Ofcom. A complaint is made to Ofcom.